President Donald Trump met with a North Korean envoy Friday as the two sides worked to resume stalled efforts to end the North’s nuclear weapons program by arranging a second summit with leader Kim Jong Un. Kim Yong Chol earlier held talks with Secretary of State Mike Pompeo at a Washington hotel. 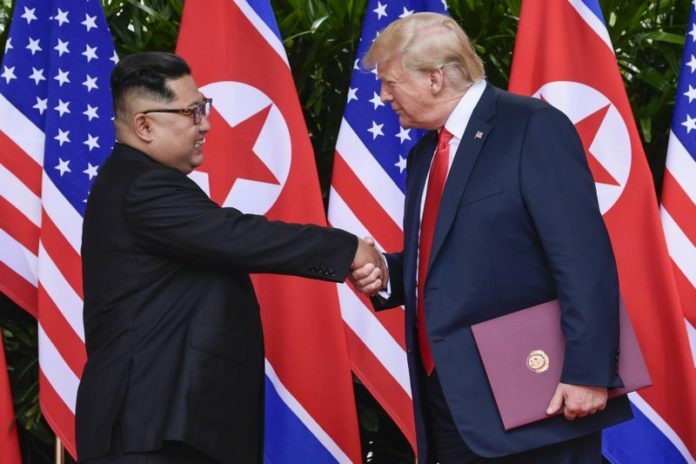 A State Department spokesman, Robert Palladino, said they had a “good” discussion toward progress on commitments Trump and Kim Jong Un made at their June summit in Singapore. If Friday’s talks go well, Steve Biegun, special U.S. envoy for North Korea, is likely to travel to Sweden for talks with a senior North Korean diplomat, said a U.S. official who was not authorized to disclose details and spoke on condition of anonymity. North Korea’s deputy foreign minister, Choe Son Hui, was in Stockholm on Friday to attend a conference of international experts, according to the Swedish foreign ministry. Sweden has had diplomatic relations with Pyongyang since 1973 and is one of only a few Western countries with an embassy there. In the absence of formal U.S.-North Korean diplomatic relations, Sweden serves as the United States’ “protecting power” in Pyongyang, a status that means it provides consular services there for Americans. Kim’s latest trip to China, his fourth since last year, came as the North’s strongest ally has encouraged negotiations with the U.S. while at the same time arguing in favor of immediate easing of sanctions. How could the next meeting be as successful as the last?